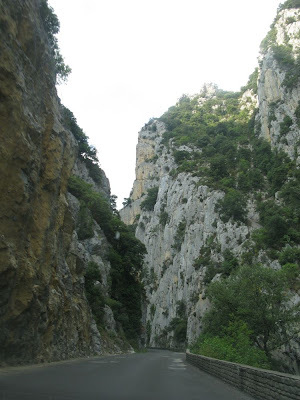 In recent years, we've been taking the scenic route to Collioure and points south, and driving the péage home. 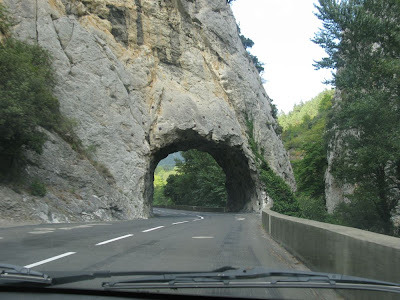 Péages definitely whizz you quickly across the country but you do miss out on the views unless you're a fan of container truck convoys. This time, because we'd spent the night in Port Vendres and had time to spare, we opted to meander back the way we'd come. 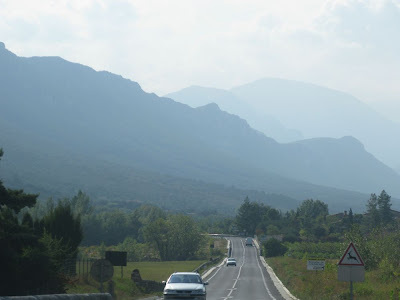 Once we'd negotiated our way around Perpignan, it was plain sailing west across the vineyards with high, rugged ridges on either side, scenery that author Julian Barnes once described as "God's bridgework." Right now is grape-picking season. Trucks laden with glistening loads sped along the road. High on the slopes, we could see pickers with giant plastic buckets strapped to their backs. All too soon, that golden greenness disappeared and the mountains began to encroach. 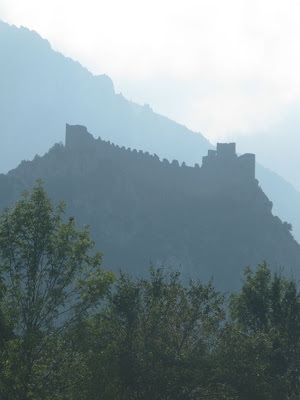 That gothic silhouette is the Cathar castle of Puylaurens. 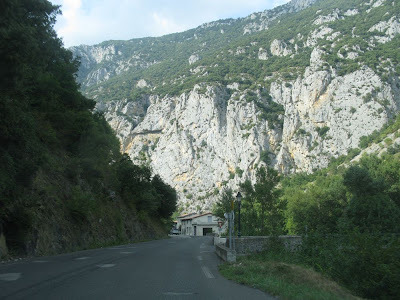 Eventually you emerge from the chasm into the town of Quillan. A long and winding hill takes you back, through the forest, to home. We noticed several cars parked by the side of the road. It's Tuesday so not a hunting day. Must be the start of mushroom season. I've followed your writing for some time now, through the Georgia Straight and in Nuvo. I am a freelance writer living in Sechelt, BC. 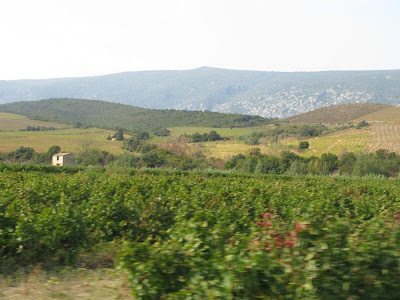 My husband and I are planning a move to the Langedouc region this coming March for a one-year stay. Wondering if I can ask you some questions? A Healthy Few Hours at the Hazelnut Festival.